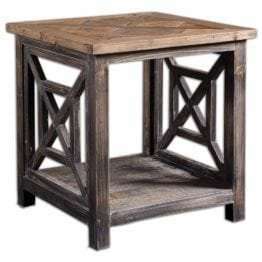 Complete your home decor with the Mason End Table. This modern side table features a marble top placed elegantly on an iron platform. A walnut base creates a lovely color contrast, while providing exceptional support and stability. 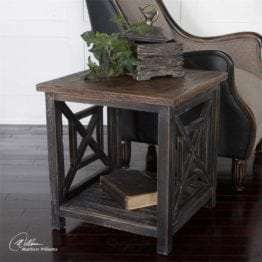 Unique and elegant in design, this accent table will make a statement in your living room or home office.